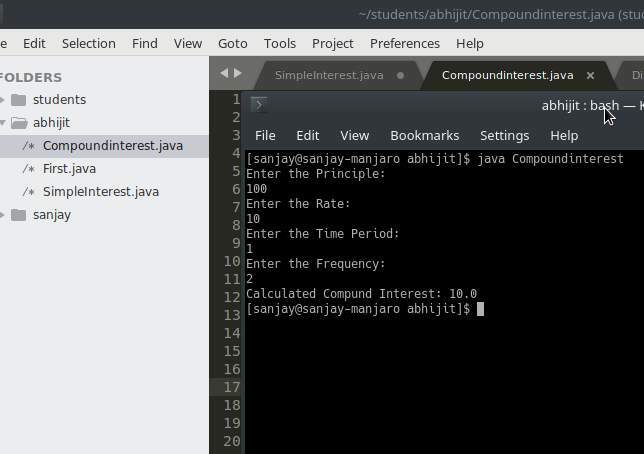 This tutorial deals with how to calculate compound interest in Java. This was given an small assignment to one of my student Abhijit . This tutorial is idle for those who have just started learning java. In upcoming tutorial I will try to convert this command line application to simple GUI.